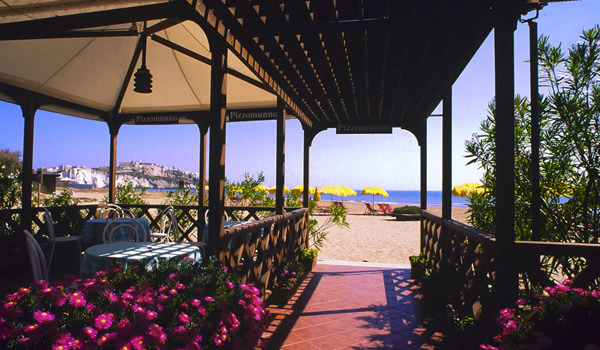 Pizzomunno Vieste Palace Hotel is named after the faraglione (sea stack) in the Gargano sea, visible from the private beach, directly connected to the structure by an underpass. 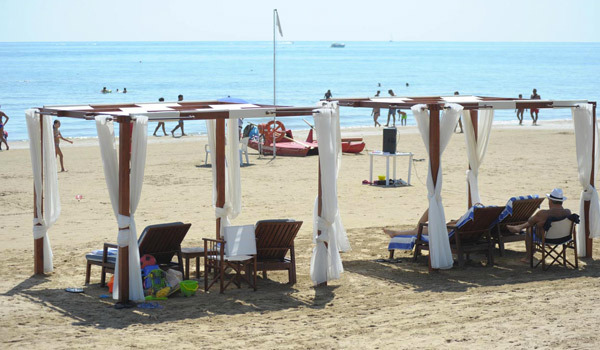 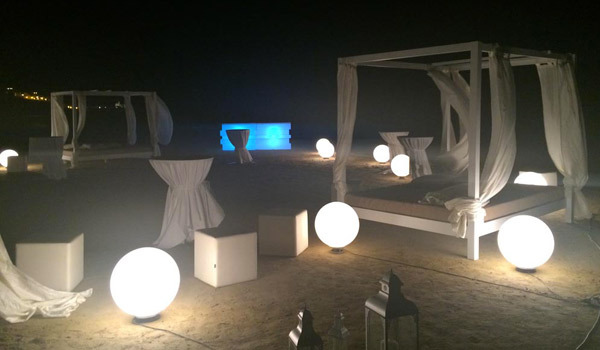 The Sandy shore’s wide area is covered in fine golden sand, and equipped with umbrellas and sunbeds for all hotel guests. 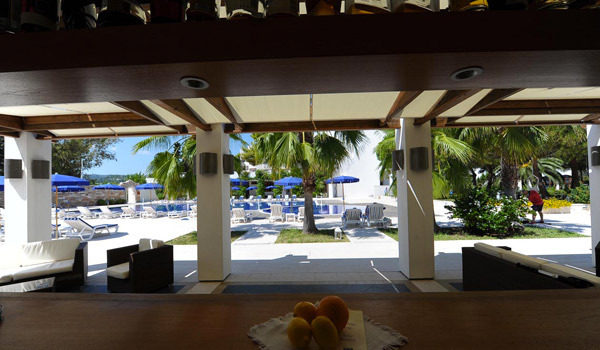 Here guests can enjoy the Bar or one of the hotel’s two Restaurants (the other one being in the hotel building). 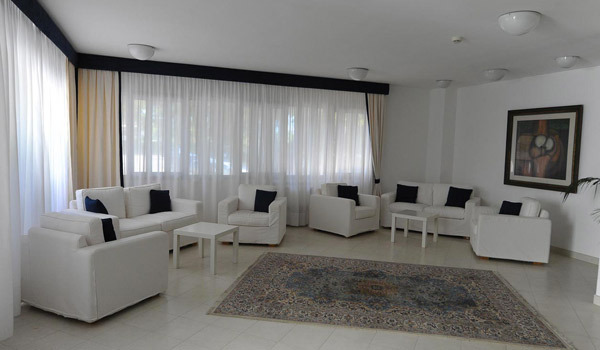 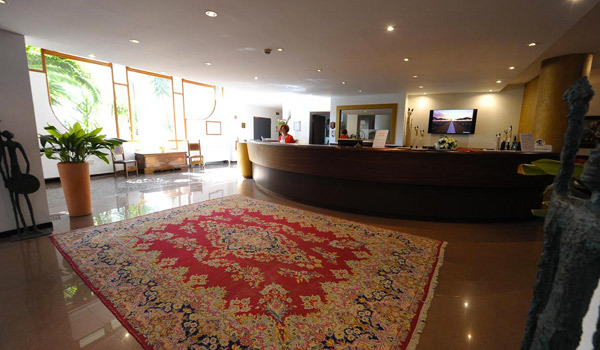 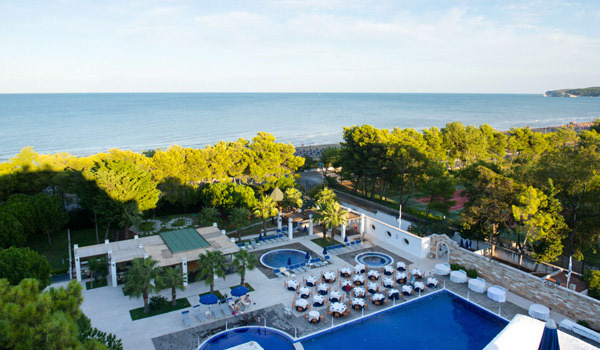 A short distance from the centre of Vieste “the pearl of Gargano”, the Pizzomunno Vieste Palace Hotel is a 5-star hotel which boasts all the services and comforts for a complete vacation experience in one of the most renowned places in Puglia. 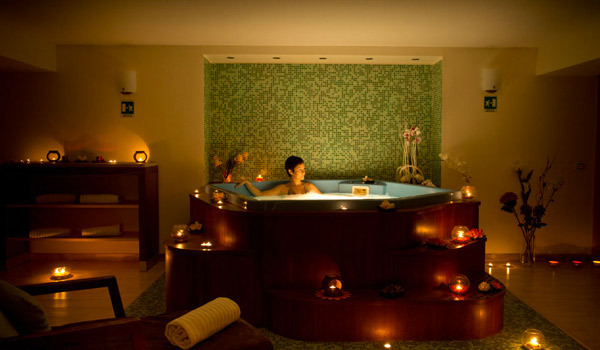 In the hotel there are two indoor pools, with adjacent Jacuzzis and a Spa Centre with a sauna, a mini-jacuzzi pool and area for relaxing or for invigorating or aesthetic treatments. 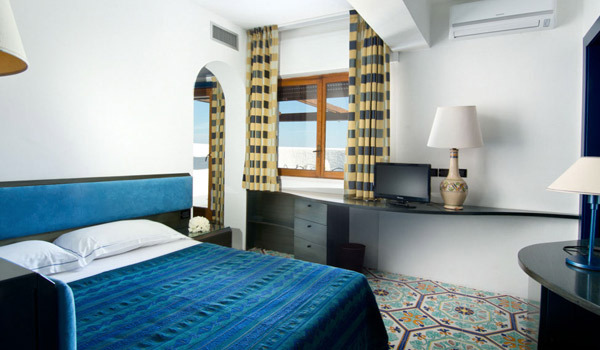 The rooms, divided between a main building and a dependance, are all fitted with balconies with a scenic view. 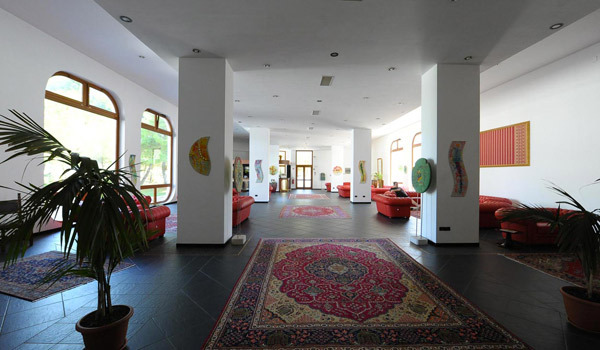 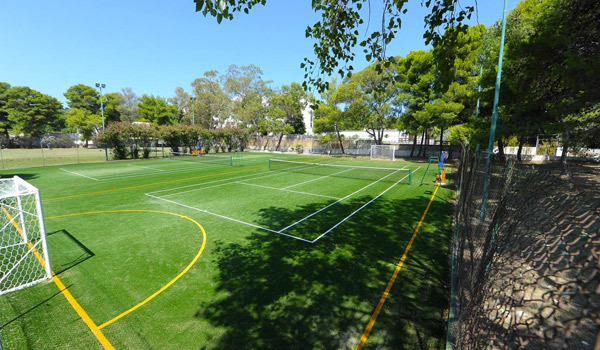 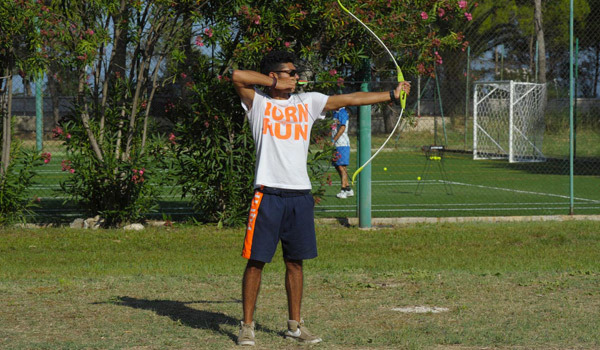 Among the many services in the hotel there are 2 tennis courts (with the possibility of paid private lessons), a multifunctional sports area, entertainment, evening shows and a Congress Centre with 5 rooms, adapted to host multiple event types with a capacity of 450 people. 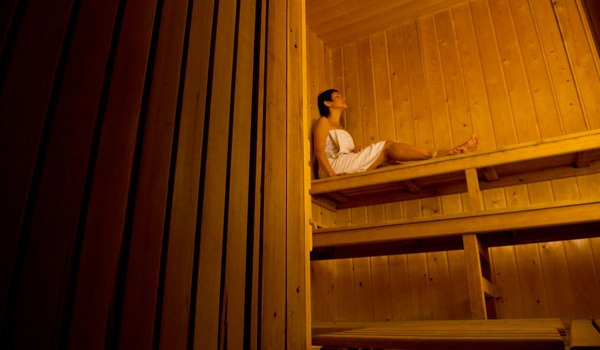 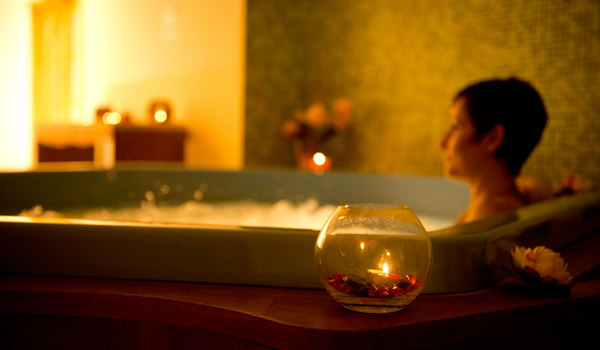 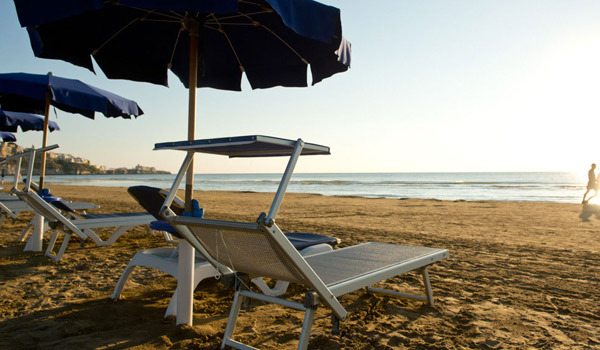 The Pizzomunno Vieste Palace Hotel has a 300 metre squared Spa Centre with a sauna, a mini jacuzzi pool. 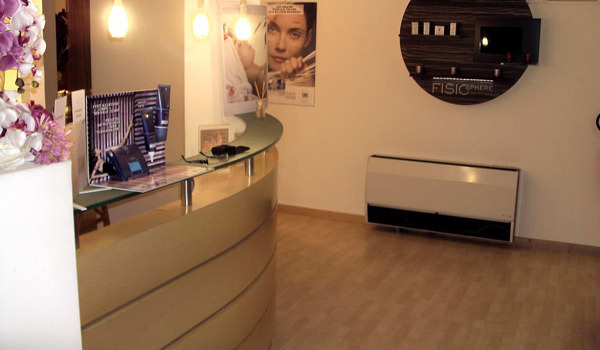 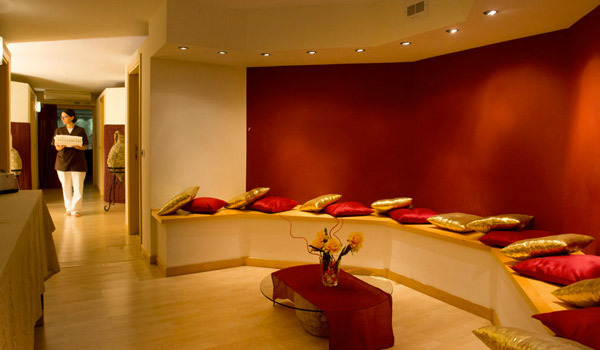 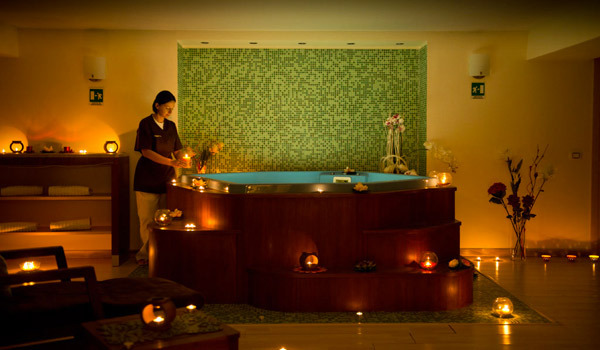 Here guests can undergo different types of regenerative, aesthetic and deep hydrating treatments. 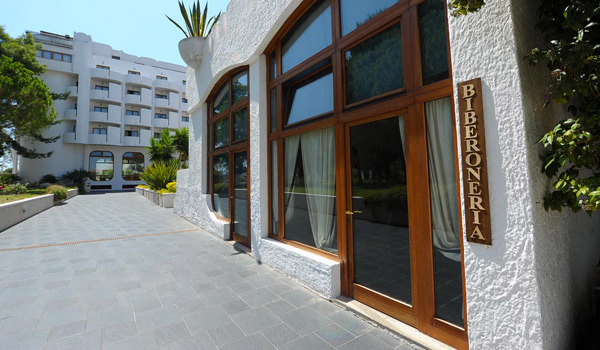 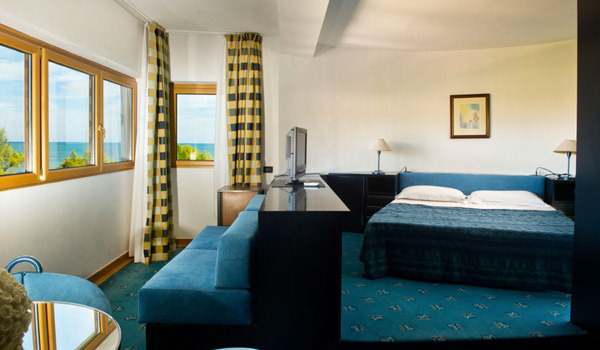 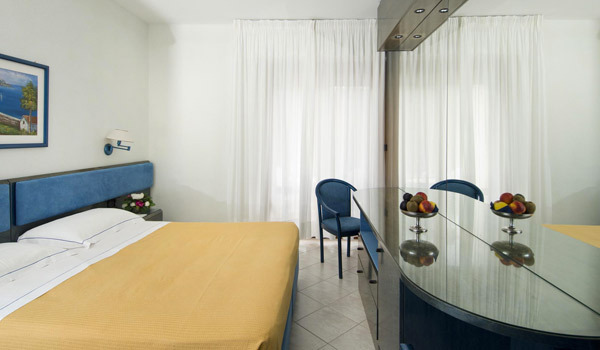 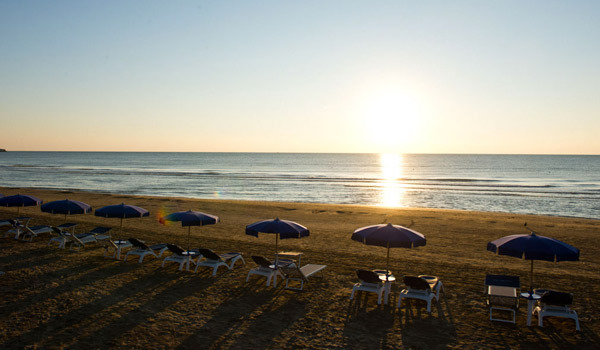 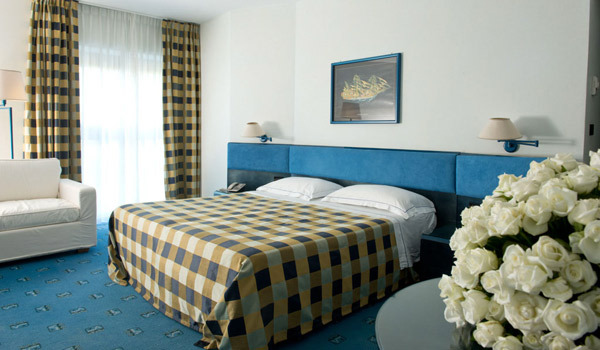 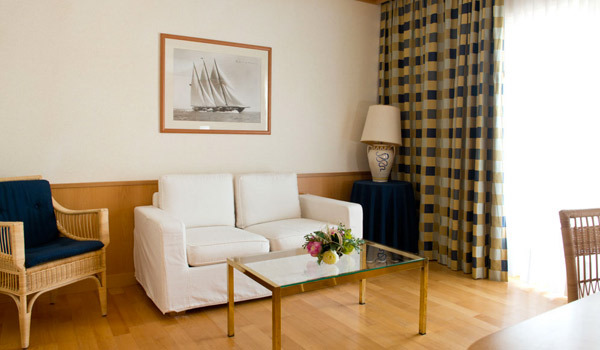 The rooms of Pizzomunno Vieste Palace Hotel come in a variety of types: Standard rooms are located in a separate dependance building while Superior, Junior Suites and Delux Suites are all located on the main building with a scenic view. 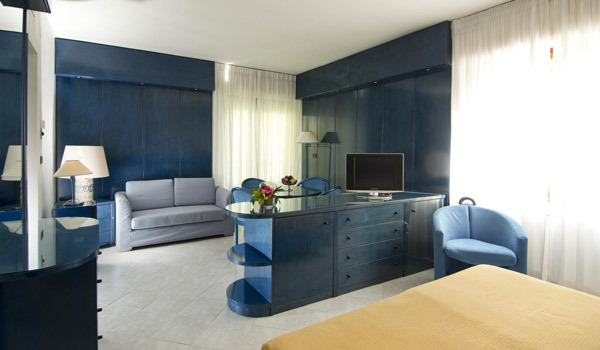 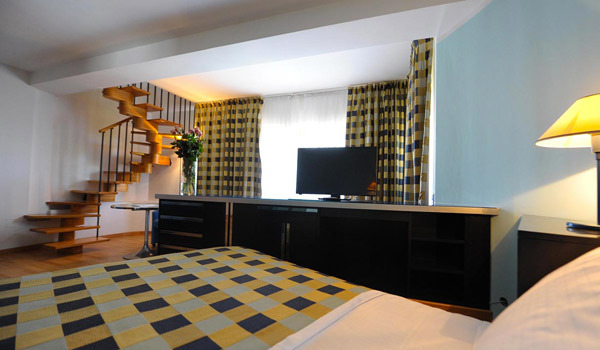 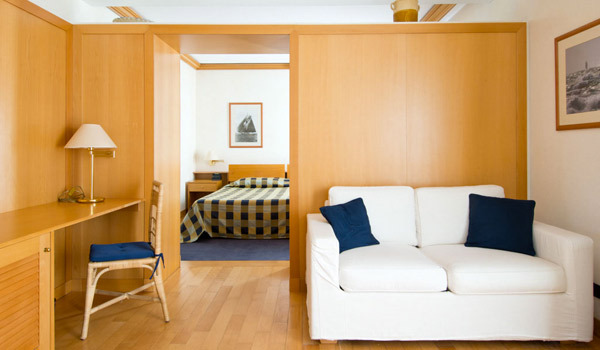 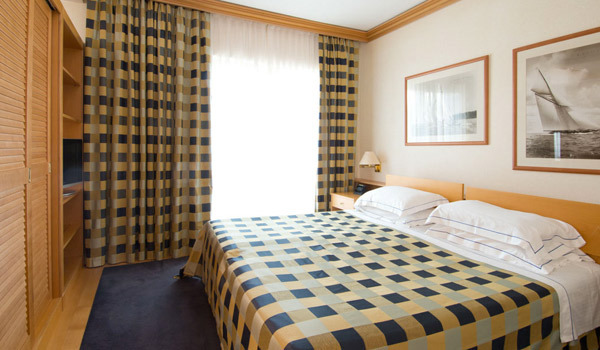 All rooms are equipped with air conditioning, a balcony with a panoramic view, a telephone, a safety deposit box and a minibar. 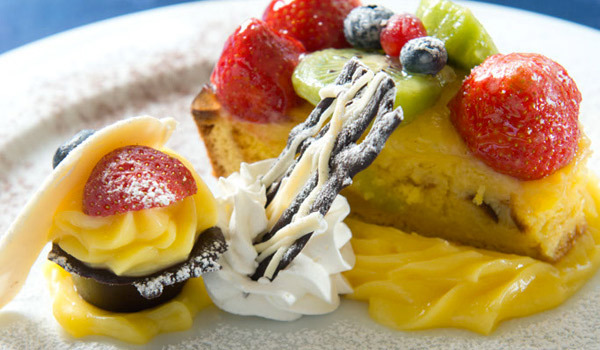 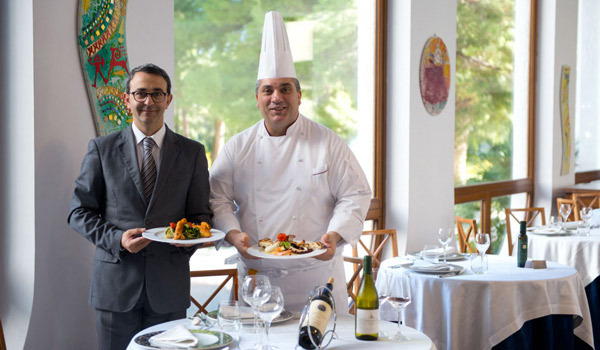 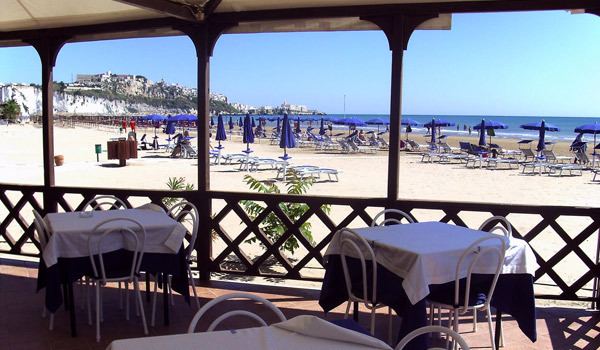 The Pizzomunno Vieste Palace Hotel has two Restaurants. 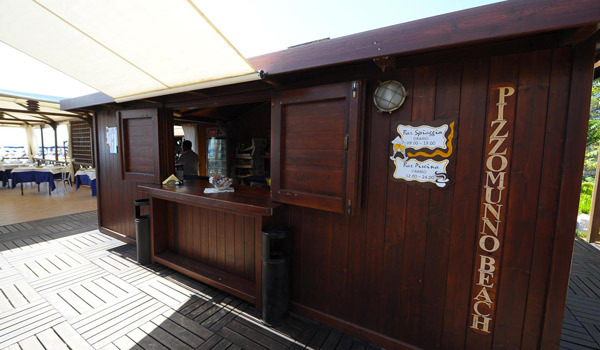 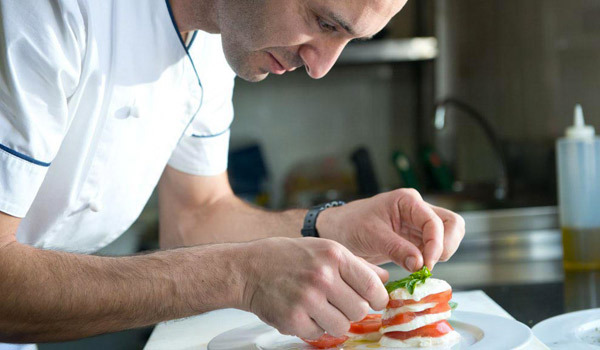 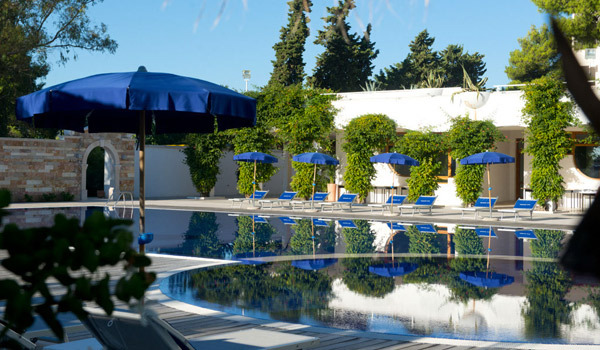 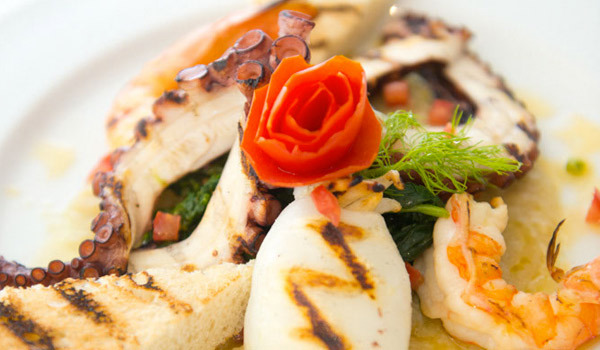 The main one Trabucco, has a poolside view, and offers regional specialities and both national and local cuisine served either for lunch or dinner. 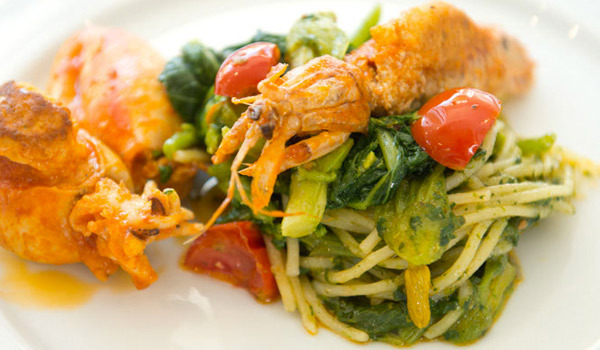 Lunch is served at the table also in the “Beach Restaurant” on the Veranda by the sea, upon booking. 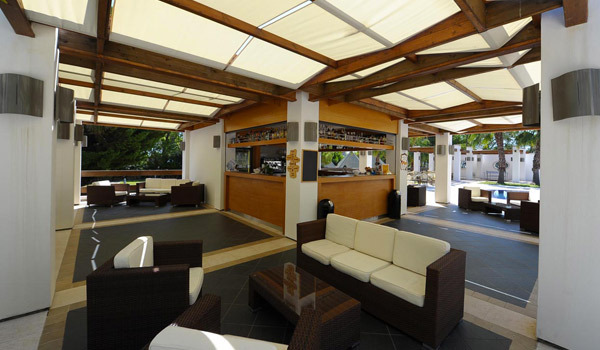 At one of the three bars in the hotel, guests can enjoy snacks either by the pool, on the veranda by the beach or in “la Cattedrale” salon. 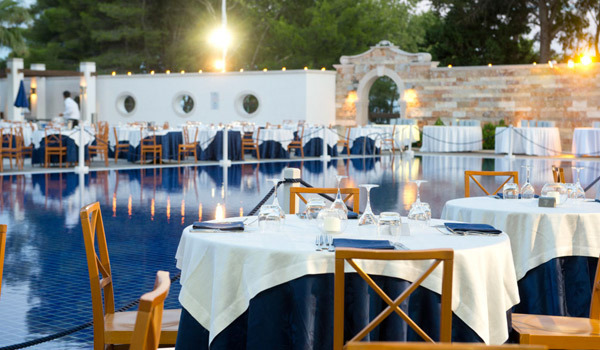 By the pool guests can also taste rustic cuisine at the buffet of one of the many live music events organized by the hotel. 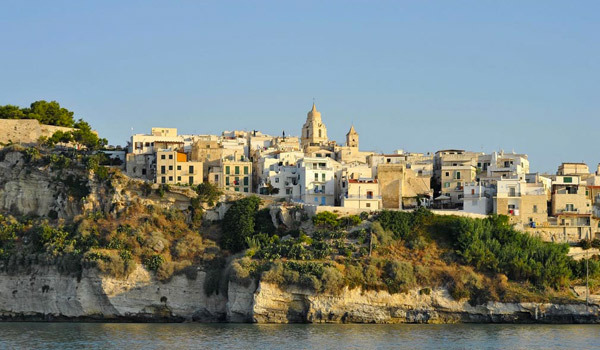 The nearby Vieste, also know as the "Pearl of the Gargano", has among its many attractions a medieval village, a nineteenth-century hamlet, the historic center and the cathedral dedicated to the patron saint of the city, S. Maria di Merino, which is a classic example of Puglia's eleventh century architecture. 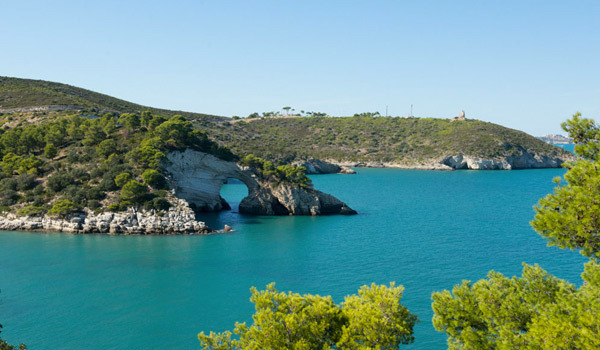 From Vieste, you can go to visit its marine caves or embark on a trip to the Tremiti Islands. 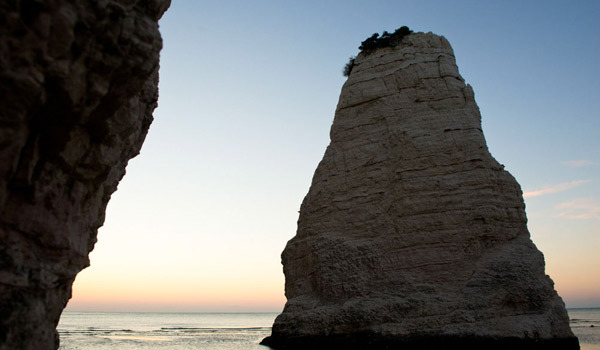 Towards the internal part of the Gargano National Park, you can encounter several abbeys. 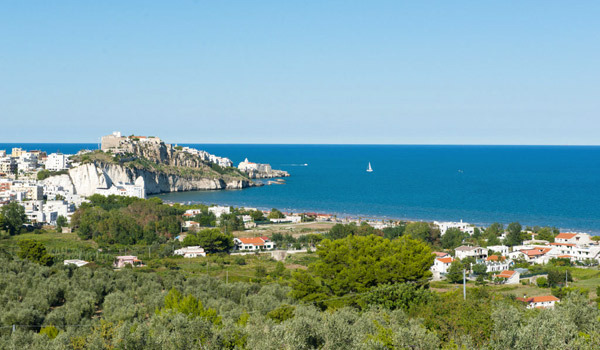 moving towards the centre you also get closer to Monte Sant'Angelo, a destination for Christian pilgrimages just like San Giovanni Rotondo, famous for its holy sites related to the following of Padre Pio who lived there for about 50 years, the place still holds many of his relics. 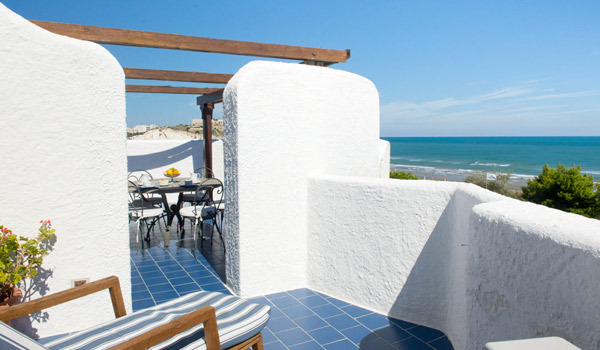 A bit further but also worth the journey are Alberobello, the "Trullo town" (the traditional Apulian houses), the Castellana Caves, the Fasano Zoo Safari, Castel Del Monte, Barletta and Trani.